Stuffed French Toast egg bread stuffed with sweet cream cheese and huckleberries, toasted to a golden brown. Topped with bananas, strawberries and huckleberries! Also served with breakfast potatoes. Huckleberry Pancakes served with our famous huckleberry compote. Biscuits and Gravy two buttermilk biscuits served with sausage gravy, and two eggs. *Gourmet Vegetable Omelet spinach, tomatoes, crimini mushrooms, onions, artichoke hearts, roasted red peppers, fresh herbs, feta and monterey jack cheese served with breakfast potatoes and toast. *Lake Scramble italian sausage and chevre cheese scrambled together with eggs, red peppers, sautéed onions, tomatoes, mushrooms, spinach and fresh herbs served with breakfast potatoes and toast. Open Faced Avocado Breakfast Sandwich poached eggs, avocado, tomato, and bacon on grilled flatbread served with breakfast potatoes. Breakfast Burrito sausage or chicken, eggs, onions, tomatoes, roasted peppers, black beans, cheddar and jack cheese in a flour tortilla with elkins salsa, sour cream and breakfast potatoes. *Huevos Rancheros two eggs over easy with corn tortillas, tomatoes, onion, black beans, sausage, avocado and topped with red sauce. *Elkins Omelet of the Day please ask your server. *Elkins Classic your choice of sausage or bacon, two eggs, breakfast potatoes and toast. Lake Style Breakfast two pancakes bacon or sausage, two eggs and breakfast potatoes. Eggs Benedict two poached eggs, ham and english muffins smothered in our rich hollandaise sauce and served with breakfast potatoes. Or try a delicious Bloody Mary or Huckleberry Mimosa to compliment your breakfast. Experience Northwest dining with Pacific Rim flair. 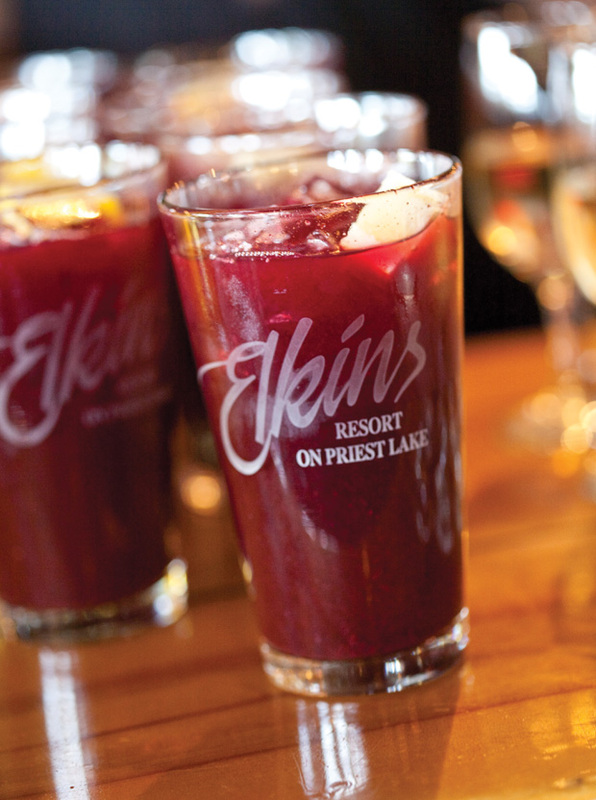 Our lake-side dining features some of the best cuisine in the Northwest. Join us for breakfast, lunch or dinner and taste why our clients come back to us year after year.